17/09/2015. White Waltham Airfield, Berks. A Spitfire is prepared for take off. 4 Spitfires and 2 Hurricanes were hangared here after the 75th anniversary of Battle of Britain flypast on Saturday. They had been grounded here after heavy rains prevented them from finishing the final leg to RAF Northolt, Middlesex. Today this evening, in clear weather, they finally took off, though one returned after technical dificulties. White Waltham Airfield was the home of the ATA (Air Transport Auxillary) during WW2. 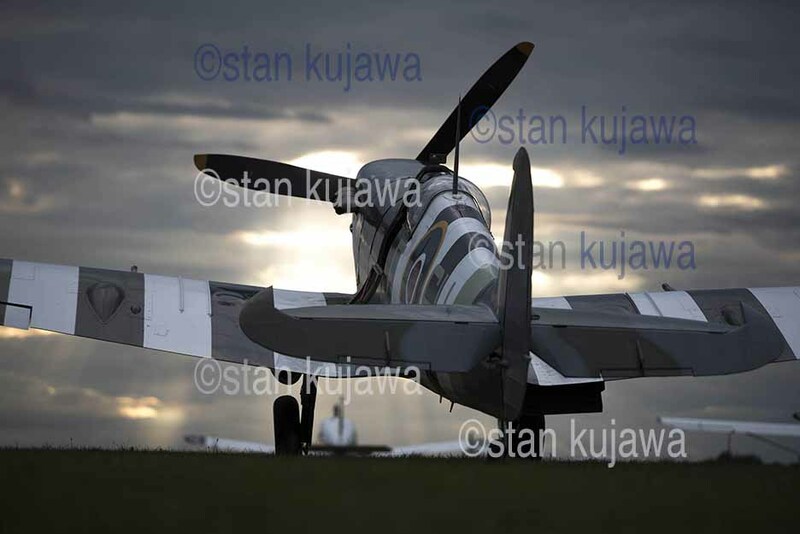 This entry was posted in Battle of Britain, Spitfire and tagged fighter plane, icon, sunset, White Waltham, WW2 by WordApe. Bookmark the permalink.